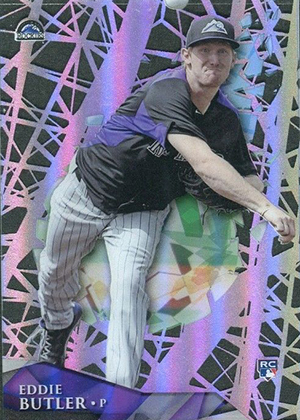 If you weren't collecting in the late-1990s, 2014 Topps High Tek Baseball might be tricky to wrap your head around. 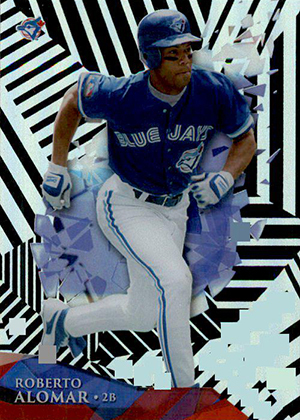 Even if you were collecting back when Topps Tek made its first run, you might have a hard time figuring it out. That's part of the point. 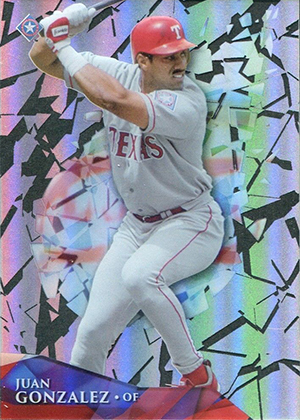 Before you even get into the parallels, every player has six different versions of their base card. Each has a different background. 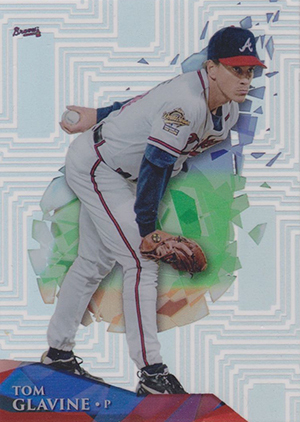 But what are the 2014 Topps High Tek patterns and variations? While each player has only six variations, there are 12 total. American League players have six and National Leaguers have six more. 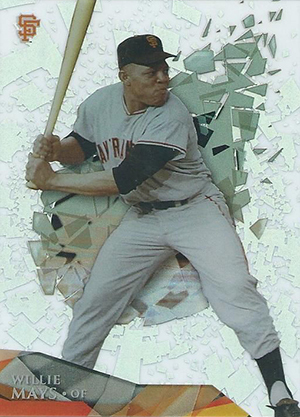 Past sets not only had the traditional card number but a pattern number as well. This gave player and set collectors an easy point of reference to build their lists and know what gaps need filling in. 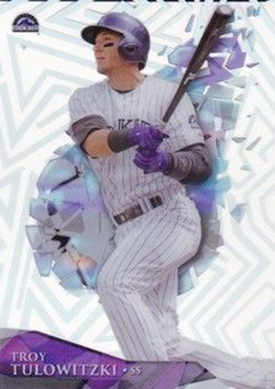 2014 Topps High Tek doesn't have those pattern numbers. It takes more of a variation approach where you need to know what to look for. Further complicating matters is the fact that patterns aren't available in equal quantities. The Wave and Spiral Brick patterns are extremely common. These are the base versions. 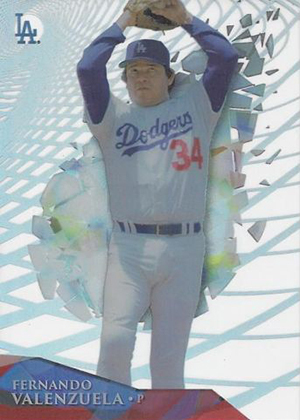 American League players have Wave patterns and National League players have the Spiral Brick. We've confirmed with Topps that the hypothetical Pattern 1, Wave, is more common than Pattern 2, which is more common than Pattern 3. It keeps going like this until you reach the final pattern. 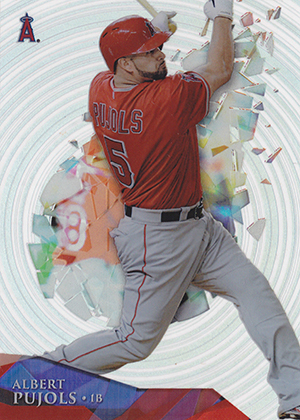 The following is a list of patterns for 2014 Topps High Tek Baseball. The first column is American League players while the second is for the NL. Cards are arranged from perceived rarity with the most common at the top to what's believed to be the rarest at the bottom. 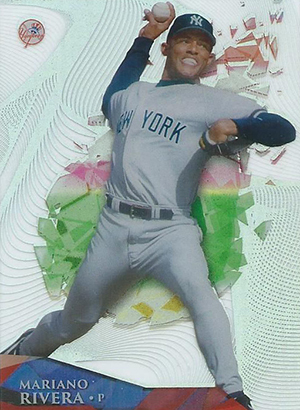 2014 Topps Tek ERNIE BANKS PIPES VARIATION PATTERN SP CHICAGO CUBS!! So this means each player actually only has 11 patterns, not 12? 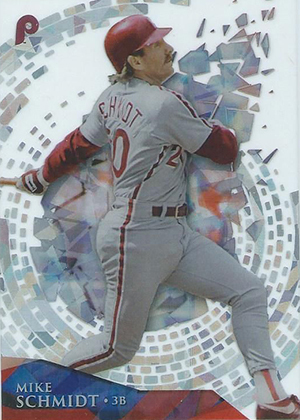 10 shared patterns & 2 uniques depending on AL/NL? 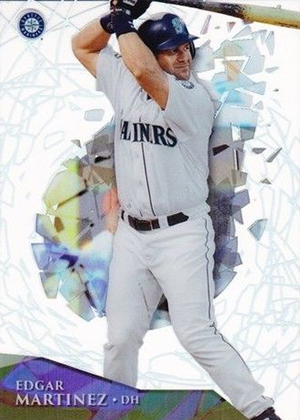 Brian M � Still trying to figure that out (we’re piecing this together as little has been confirmed from Topps outside of sell sheet). The sell sheet did say 12 versions for each player, so likely one more pattern out there (that’s likely an SP). We should have it cleared up pretty quick, though. Only 6 versions of each player. NL and AL each have 6 unique patterns. Does each pattern variation also have all the parallel version of it? If thats the case then even with only six patterns per player there are 8 different parallels, so wouldn’t that be 48 cards per player if you are trying to have EVERY possible card? Jason � Parallels are only for the easiest patterns. 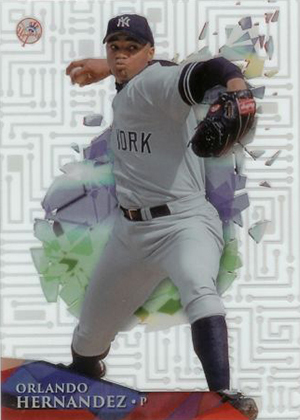 Ryan >> There appears to be double the number of Cracked Ice parallels as there are Circuit Board listed on eBay. I also pulled double the amount of Cracked Ice in my 10 case break. Is there a chance that Circuit Board should be aligned with Zig Zag rather than Pipes? (Pipes were also double the circuit board in my break). Seems that maybe Cracked Ice and Pipes are the third rarest, with Circuit and Zig Zag being second rarest. Any thoughts? Jamie � It’s possible. Nothing has been confirmed and we were going with what was provided to us from a few breakers and our observations early on. Comes to a total of 25 for Pudge. Don’t know if that helps or not. 2016 Topps High Tek Baseball Hobby Box - Factory Sealed!